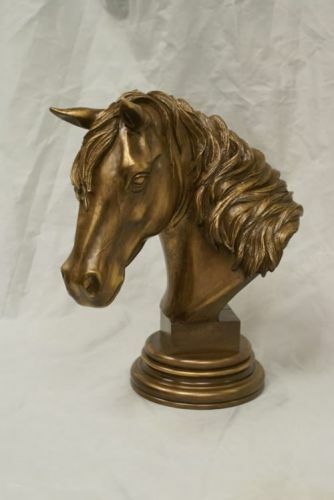 Description Horse Bust can serve as a keepsake or could be mounted on a full size urn. Personalized brass name plate included. Keepsake is made of polymer and finished to replicate bronze Capicity 80 cubic inch. Stands 11.5"